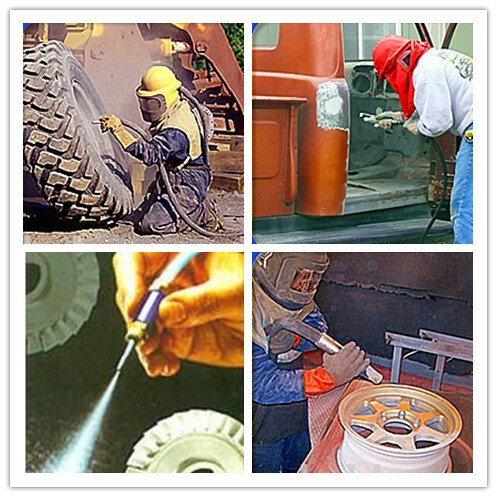 Product categories of Blasting Glass Beads, we are specialized manufacturers from China, Shot Peening Shot Blasting Glass Beads, Abrasive Polishing Sand Blasting Glass Beads suppliers/factory, wholesale high-quality products of Blasting Material Shot Blasting Glass Beads R & D and manufacturing, we have the perfect after-sales service and technical support. Look forward to your cooperation! Blasting Glass Beads,Glass beads are used for blasting and polishing purposes, for cleaning the moulds for forging, casting , glass, rubber, etc., for removing of the tensile stress and increasing and improvement of the corrosion resistance and fatigue life of the component such as aircraft engine turbine blades, haft, landing gear, springs etc., for decorative finishing of the component surfaces, etc.It is used for cleaning the turbine, blade and axle of the airplane engine. Glass bead for jetting has the features of chemical stability, high mechanical intensity and hardness. They can be jetted onto the object surface with compressed air and can be used on compress glass, rubber, plastic, moulds with metal casting or compressing. The jetting balls would help reduce elasticity of the surface materials and increase wearing capacity. 2. also used for machinery sand blasting,enhancing the surface hardness. 3 .Used for reflective road marking paint glass beads. -- High purity and good quality meet the international standard. -- Stable chemistry property, not pollute the metal processed.